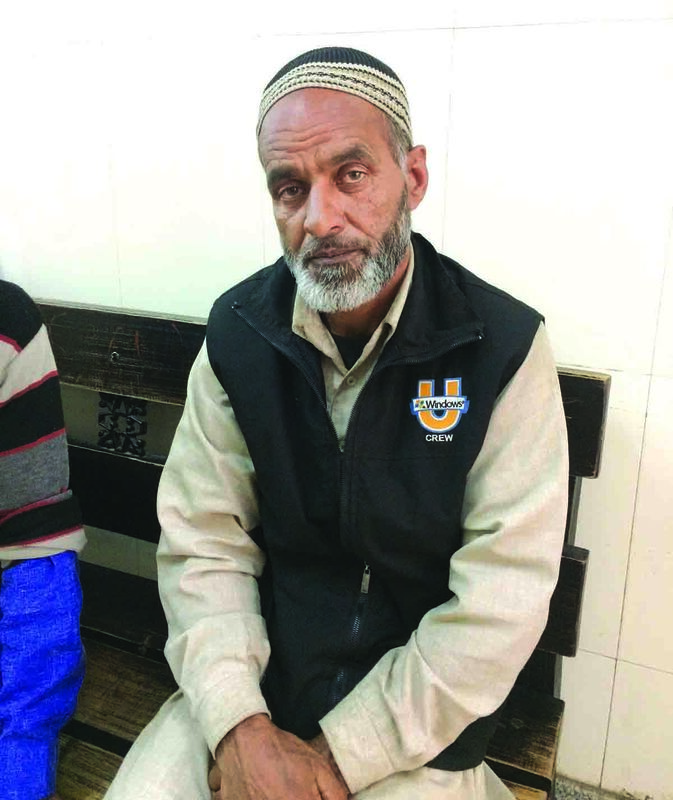 Just outside the intensive care unit (ICU) of SMHS hospital, Abdul Majeed Wani, a resident of Gopalpora (Kulgam), is sitting like a lost guard. Visibly in despair, he is looking at every person getting in or coming out. The only movement that brings him to life was that of a nurse attending his teenage son, Muneeb Ahmad. Outside ICU, his father said it was the final match of a local cricket tournament. Muneeb was sure his team would win but now he lays unconscious on life support. Trying to be strong enough, Wani is accompanied by his brother-in-law. His wife and his other children: son, two daughters studying in class 11th and 12th, are home. One of the injured boy taken to SMHS hospital. Wani doesn’t know who is helping his son. “All the blood has been given by unknown people and most of the medicines are provided by the hospital administration.” He has been left alone so that he could pray for his son’s safety. Inside the ophthalmology ward, doctors are already drawing parallels with 2016. On the first tiring night, they carried out at least 35 primary surgeries on the pellet hit patients, and most of them are teenagers. They are fearful that at least three of them might lose the vision of their both eyes. The right eye of Hilal Ahmad, 22, a school dropout, is all red. Apparently, he looks normal but doctors say he has lost 70 percent of the vision in his injured eye. Son of a farmer from Chak-i-Trisil (Shopian), Hilal is accompanied by his friends and cousins at the hospital. It was March 31, when Hilal heard a few bullet shots at around 11 pm. At around 4 am the internet was suspended in the area so he had no information about the happenings in his district. Once the encounter was over, people who were on the roads started moving towards safer places till the forces left the area. Hilal was hiding behind a house and after some time he moved out his head to see if the forces had left. But as soon as he got out a part of his eye to check, they fired pellets. 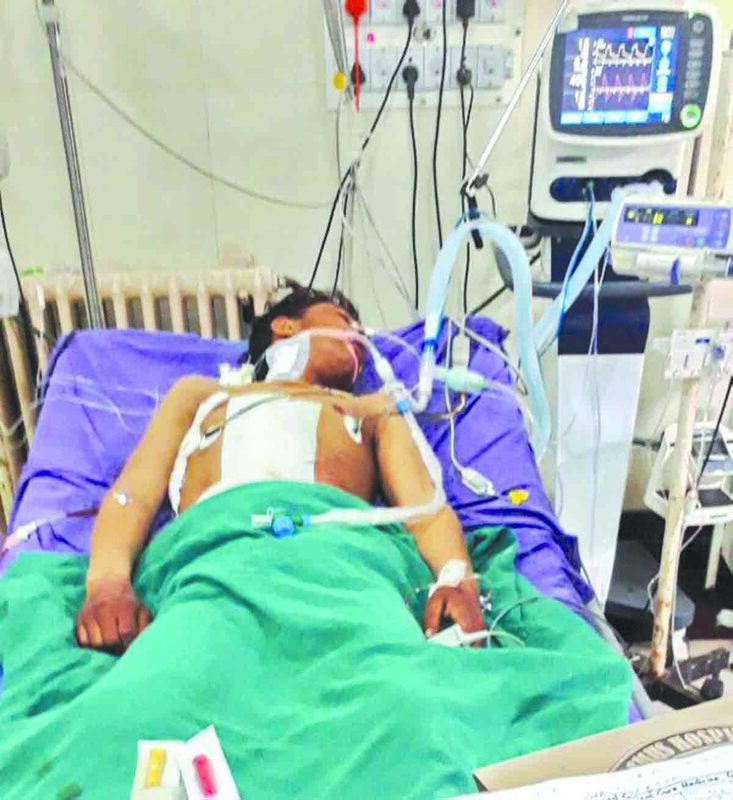 A 15-year-old Muneeb, battles for life, as bullet damaged his vital organs. On bed 13, Shabir Ahmad Paul’s bandaged right eye is in pain. A student of BA 1st year, Paul, a resident of Bonbazaar Shopian, was home till the twin encounters in Dragad, and Kachdoora were over. Kachdoora is not far from his residence. 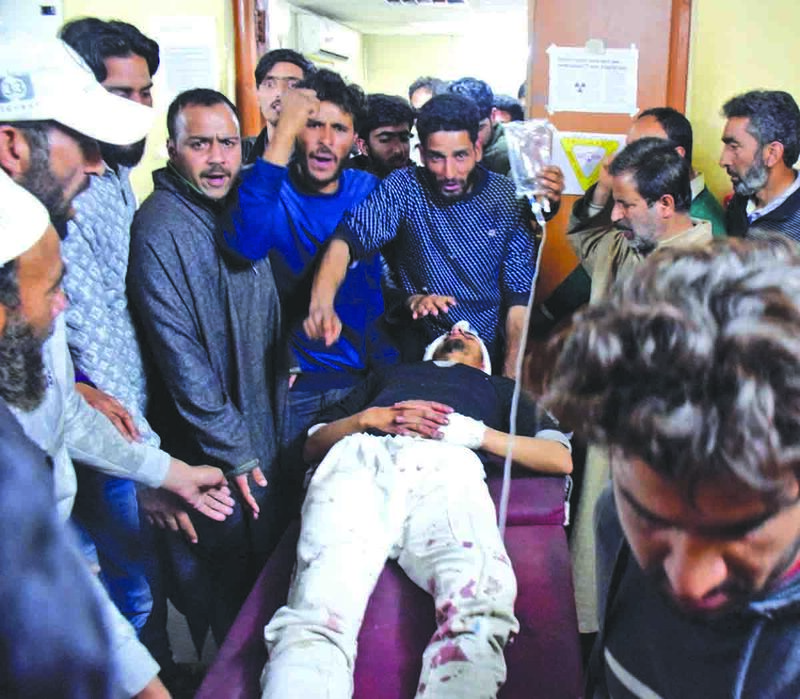 Once the encounter was over, word spread in the town that people must go to the encounter site and collect the body of Zubair Ahmad Turray, a local militant. Paul did not talk after that. One of his uncles, who was accompanying him in the hospital asked this reporter to leave as it has been just 25 days since they lost one of Paul’s cousin, Shahid Ahmad Khan, 18, in Shopian shootout on March 5, 2018. In ward 8, is Jehangir Ahmad, 18, a class 11th student. He was hit with a pellet on his left eye on April 2. There, the police and paramilitary men opened their guns. Dozens were injured. Jehangir and two other boys were hit by pellets in their eyes. Since protests were everywhere, the police action was reported from all places. PHC Herman received more than 50 patients including 15 with bullets and 35 pellet injuries. PHC Mohammadpora had 24 patients, 12 each with bullet and pellets. At least 45 patients were received by District Hospital Kulgam including 35 pellet injuries. Of them, 14 critical cases were referred to Srinagar. They also included four patients who were hit by bullets: two in abdomens and two in legs. 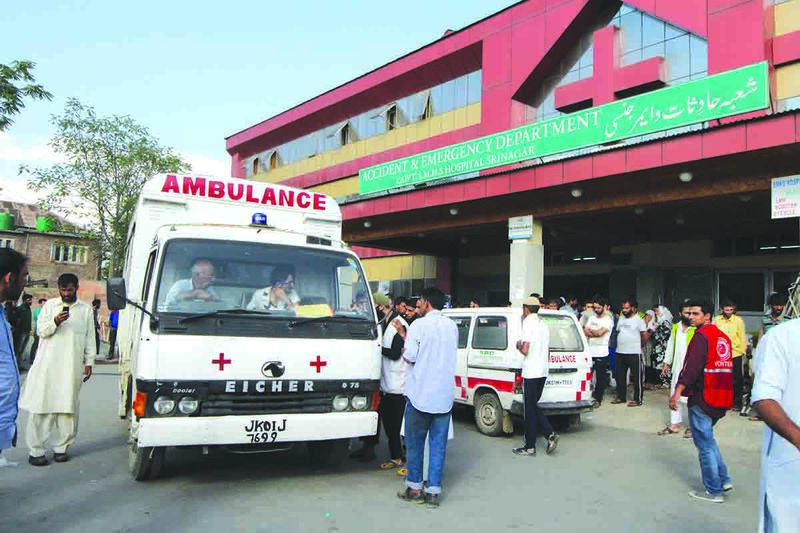 A key reason for taking the injured to the PHC’s was that access to Srinagar from Herman and Kachdoora side was difficult during tensions because one has to pass through a road dotted with garrisons: Choudhary Gund and Nagi Sharan. In Bone and Joint Hospital, Danish, 17, feels lucky in comparison to the other youth. He was hit by two bullets. One hit his phone and other his right thigh that just crossed through his muscle, leaving his bone safe. Abdul Majeed Wani, father of injured Muneeb. Showing his selfie, he showed the face of Iqbal Manzoor Bhat, who was shot with two bullets just after 10 seconds of this selfie. Tanveer’s cousin and some more boys were quick to shift him to Kulgam hospital from where he was referred to SKIMS, where he breathed his last.